I've heard of BLUE BUNNY ice cream for a long time ( they've been in business over 90 years ) but they've never been available in our area... until now . We saw it for the first time a couple of weeks ago at our local STOP & SHOP, but since we already had some ice cream in our cart , we decided to wait . 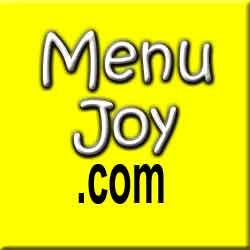 This week , some of their many varieties were on sale for $ 2.99 ( down from their regular price of $ 4.99 ) . Unfortunately , the kind I wanted wasn't on sale . Isn't that always the way ? 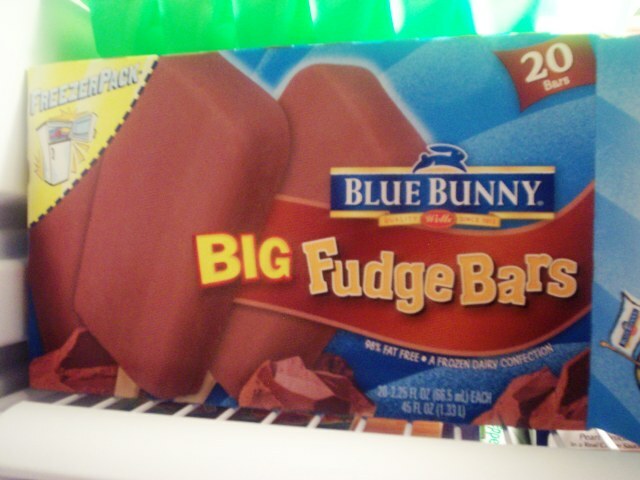 I had seen this big box of fudge bars that looked delish and that is what I had my heart set on , sale or not . 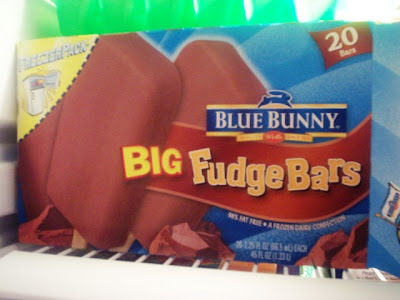 So for $ 4.99 I got a big freezer pack of 20 fudge bars . That's not bad considering that some of the premium brand bars go for that price but have only 4 bars in the package . VERDICT : Goooooood ! Although the bars are not as big as they look on the box ( what is ? ) they had a nice chocolaty taste, were 98% fat free and were icy cold . OF COURSE THEY WERE COLD DUMMY ( you might say ) but right on the box it says ....THIS PRODUCT , WHEN EXTREMELY COLD , MAY STICK TO WARM LIPS OR TONGUE . Really , it says that ! They suggest you let it warm slightly before eating it . That's probably because they're made with skim milk which freezes more like water than cream or whole milk does.They have only 90 calories per bar and 1 gram of fat . Not bad for such a tasty treat . And with the warm weather coming these would be nice to keep on hand when you're looking to cool off. They have tons of other ice cream novelties that I'm dying to try , I just have to wait till my store gets them all in .